For nearly 30 years, Swiss artist Christian Pfluger has been using the moniker “Die Welttraumforscher” – a German play on words that means both “the world dream researchers” and “the space explorers”. The Welttraumforscher’s explorations of inner and outer space result in an extensive output of music, visual art and literature, building a unique cosmology. 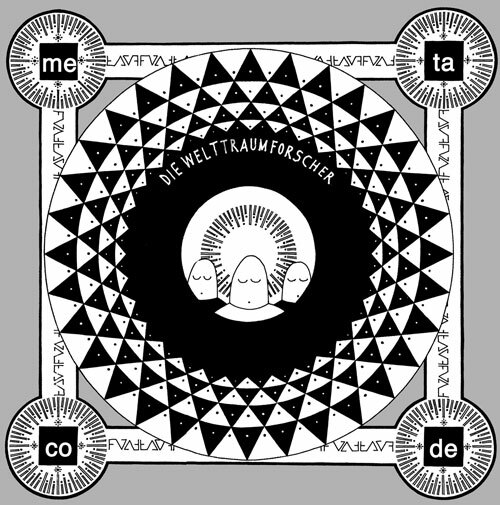 Following his contribution to Interdisco’s 2004 compilation “Winterdisco”, we are proud to release the EP “Metacode” as the latest entry into the Welttraumforscher’s cosmic library. The music of “Die Welttraumforscher” has been remixed, among others, by Mouse on Mars and Felix Kubin. ich bin einen Rennradfahrer…. von der Musik bin ich begeistert und Eure Musik begleitet mich täglich auf meinen Trainingsfahrten…..
Vielen Dank und weiter so….